Dixon's Darling Dynamos: We Have Tests Today! YAYYYYYYY!!!!! I start the year early trying to make tests sound like a fun thing - almost a treat! Kids buy in quick because they are anxious to show me what they know and excitement is contagious! We set the temperature in the class, yes? I don't think other teachers believe how happy my kids get about testing - but they do. Gotta love 7 year olds! This morning I'm trying to psych myself up the same way! I'm field testing the new National Board Certification process while I start my certification for real. I figure it helps the Board see what works and what doesn't and it gives me an idea of what to expect when I take the test soon - the 'real' one - the big enchilada, this is the big game, the one that counts, test. Saturday morning tests! Yay yay!! Amoena bra, product number 2160Do you want to field test? For more info CLICK HERE! 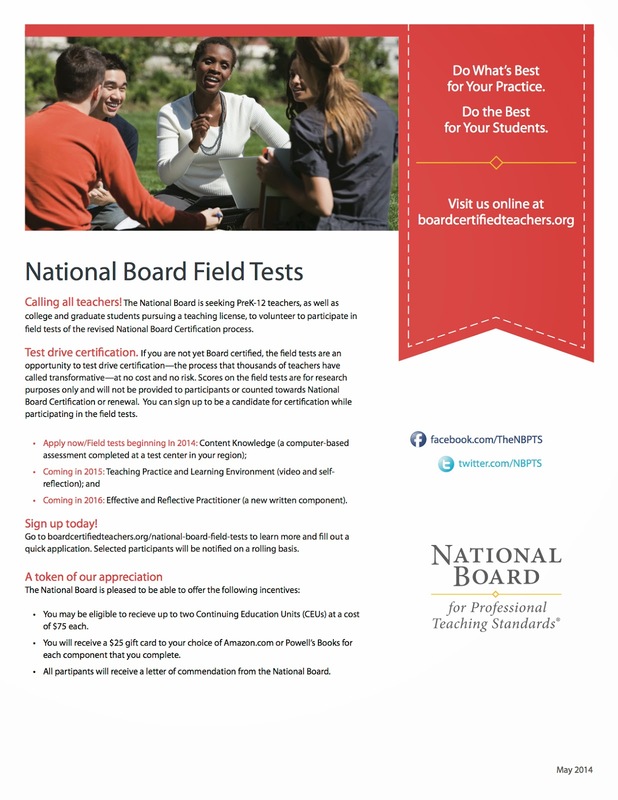 Want more information on field testing? CLICK HERE!